Viewfruit is another paid survey site that looks like a great way to earn some extra money online. 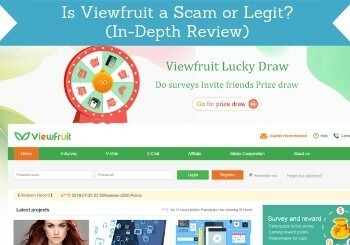 But is Viewfruit a scam, or is it really one of the legit survey sites? I have tested many survey sites, and have also tested Viewfruit thoroughly. Let me reveal right away that it is a legit site – legit does however not necessarily mean it has the right offers for you. In this Viewfruit review I will give you all the details about what it offers, so you can easily see, if it is a site worth joining for YOU or not. What is Viewfruit and what does the site offer? Viewfruit is a member of the Market Research Association, and it is a site that has been around for some years now. It is owned by Paneland, and it definitely a legit company. So the legitimacy of Viewfruit is not something you have to worry about. But let’s then look into what the platform offers, so you can see, if it is for you or not. Viewfruit is first of all a survey site, and this is the way to earn money on this platform. It has a good amount of surveys available, and they pay averagely for your time spent compared to other sites. Usually you will receive an email with an invitation, when a new survey is available. It can however still be a good idea to check the platform itself regularly to check for new opportunities, as you will not always get an email notification. When you are logged in, you will easily be able to see which surveys are available at the moment. You can easily get an overview of the available surveys on Viewfruit. As you can see on the image above, you can see in the corner of the surveys whether you can take it PC or Phone or both. Below each survey offer, you can also see the amount of points you will earn for taking the survey. This makes it easy to quickly see which surveys you want to participate in. You can always yourself decide which surveys you want to participate in, and which ones you want to skip. Be aware that to be offered the most relevant surveys, it can be a good idea to fill out your profile, after you join. This will give Viewfruit some more info about who you are, and you will therefore be offered more relevant surveys. No matter what, you will however not qualify for all surveys. That is just how it is on more or less all survey sites. On Viewfruit you should however have good chances of qualifying, so if you do not qualify the first time, do not give up. On Viewfruit you will furthermore get a reward, even if you do not qualify, which is quite unusual but great. I will explain more about this later. On Viewfruit you can participate in what is called V-Vote. It is small polls created by other members. They only take a few seconds to answer. It can for example be a short question like Coke or Pepsi, how did you meet your soul mate, do you play video games or not, etc. They are always very short and quick to answer. Once you have answered, you can see the statistics of how other people have answered. You can also create your own small V-Vote polls and other members will then participate in these. This is not something you earn by doing, by more of a social thing. It can be a great way to get some quick answers for a question you are wondering, and it can be a fun way to interact with other members. But just be aware that it is not a way to earn. 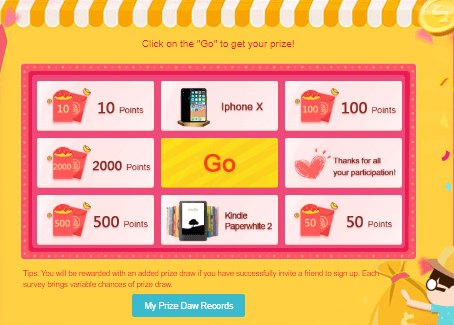 Viewfruit has a nice extra way that will give you the chance to win some great extra prizes. It is called the lucky draw. You can win great prizes or extra cash in the Lucky Draw. You can win some great prizes like for example an iPhone, Kindle, or extra cash. You do not have to do anything extra to get entries into this draw. You get entries by being active on Viewfruit. Every time you complete a survey, you will for example get 3 entries into the draw. If you do not qualify, or if the survey is full when you try, you get 1 entry. As soon as you have received an entry, you can right away press the “Go”, and see if you have won. You can also choose to save the entries for later. You can invite your friends to join Viewfruit and this way build your own survey team. When one of the people you invited complete a Viewfruit survey, you will get 10% extra paid into your account. The person taking the survey will still get paid the same amount as usual, but Viewfruit pays these extra 10% to you, because you invited the person to join your team. When one of the people you invite confirm their account, you will furthermore get one entry into the lucky draw. So if you know some people that are interested in joining Viewfruit, it can be a nice way to make a little extra. The V-Vote I explained above is an example that Viewfruit is also a bit of a social place. The chat function is another example of this and is called V-Chat. You can write messages that all can see and answer, you can answer other members’ questions in the chat, you can send private messages, and add people as friends. Of course, it is not allowed to post spam or promotions in the Viewfruit chat. This function is not something you will get paid to participate in, but it can make it a bit more fun to be a member, if you like being social. Below, I have made a small video tour of Viewfruit, so you can get an inside look of the platform, and see for yourself what it looks like and how to use it. One thing it is important to know before joining an online survey site is of course what it offers. But it is also very important to know, how you will get paid for participating. When you complete surveys on Viewfruit, you will earn points, and as previously mentioned, you will also earn entries into the lucky draw at the same time. The points you earn can then be exchanged into cash through PayPal. Personally, I love survey sites that offer PayPal as a payout option, as it is great to be able to get the rewards in cash in a fast and easy way. On Viewfruit you can exchange your points into cash through PayPal. An advantage of Viewfruit is that it has a low payout threshold, so you can get your money out already when you have earned $5, which is really great. 500 Viewfruit points equals $1, so you need to earn 2500 points to get a payout. Payout requests will be processed every Friday, and you will then receive the money into your PayPal account the following week. How much money can you make on Viewfruit? Overall, Viewfruit has some decent opportunities to earn money by taking surveys. So it is a good site to join, to earn a bit of extra cash. Depending on the country you live in, there are however sites that offer more opportunities, as some sites offers several ways to earn. You can check out my list of the top paying survey sites in your country, to get an overview of this. However, Viewfruit is definitely one of the sites that are worth considering in the countries it is available in (see the list of this below). Just be aware that as on any other survey site, you will not be able to make a full-time income on Viewfruit. You can make some nice extra cash and have your opinion heard on important topics, but it will not make you rich. So if you are looking to become rich online, paid surveys are not the way to go. Can you use Viewfruit on mobile? Having access to a survey panel on mobile is a great way to be able to take surveys and earn a little extra in breaks throughout the day. Viewfruit has its own app that makes this very easy. The Viewfruit app is a great way to get easy access to the surveys. You can do all the same things in the app, as you can on the website itself. You will even get a bonus of 100 points for installing the app. There are some surveys that can only be taken on mobile and some that are only available on PC, so it is still good to regularly check both options. But many of the surveys are available in both the Viewfruit app and on the website. Viewfruit is available in around 32 countries from Asia, Australia, Europe, America, and Africa. For each country it is available in, it has it own platform and often in the local language. At the moment Viewfruit is actively recruiting members from the US, UK, Australia, Canada, Hong Kong, Philippines, Malaysia, India, and Singapore. So if you live in one of these countries, it is definitely a site worth considering. You can see later in this review, how you can join. It is always important to know, if a survey site offers support or not, as it tells about how serious it is. I have myself been in contact with Viewfruit a few times, and they have been pretty quick in responding and have come back with useful replies. How fast the support is might differ from country to country, and if you have any experiences with Viewfruit’s support from your country, it would be great, if you can share it in a comment below. But overall, you can in my experience expect a fairly quick answer, if you need to get in contact with support. Let’s finish this review with summing up the pros and cons, so you can get a quick overview of what Viewfruit offers, and see if it is a survey site for you. Overall, Viewfruit is easy to use and offers good opportunities to earn for a survey site. It can be a little distracting with some of the social elements, if you are easily distracted, but it can also be fun. It offers a great payout method, and you can get paid already when you have earned $5, so in general definitely a site worth considering. Viewfruit is very easy to join. If you want to join, just click the button below, choose your country, and you will then be taken to the page, where you can sign up. It takes 10 seconds to sign up. Once you have signed up, you just need to check your email and use a verification code in the email to confirm your account. After this, you are ready to fill out your profile (or you can skip this and wait for later), and then you are ready to start taking surveys. If there are no surveys right when you sign up, just give it a little time to gather data, and then check it again 10 minutes later. Then there will likely be surveys available to you. If you have any comments, questions, or have any experiences with Viewfruit yourself, I would love to hear from you in a comment below. Viewfruit is easy to use and offers a good amount of paid surveys. It has great reward options and a low payout threshold. Overall a nice survey site to consider, if you live in one of the countries, where it is available. Viewfruit actually has SSL certificate in most countries. But just checked and can see there are some countries it does not have it in – that is very strange. Thanks for making us aware. hope they will fix it for the rest of the countries asap. How to apply PayPal?and where? You just simply go to paypal.com. Here you can then create a free account. Hi Mikael, I’m really interested to do this survey work. I’m from Bangladesh and I’m staying in Malaysia last 5 years now. Can I join the survey site available in Malaysia? Yes, you can join the survey sites in the country you live in. You can check out my list with the best sites in Malaysia to get some ideas for sites to join. And let me know if you have any other questions. Hi I’m Yana from Philippines. I am a graduate yet unemployed so I would like to try this view fruit yet upon checking the app reviews it seems that its not working well. Can you suggest what to do and any survey sites which is convenient for me since I don’t own any computer nor laptop, just phone. I have made a list of some of the best survey opportunities in Philippines you can check out. Several of those sites will also work on mobile. I hadn’t considered survey sites in a long time because I don’t really like answering a bunch of questions about myself, but your website seems to make this idea of surveys a little more intriguing – I may reconsider doing some surveys. I like that Viewfruit is legitimate, pays out with paypal, has a low threshold and the lucky draw. I am also reading your list for USA survey sites and I tried to sign up for your newsletter, but haven’t seen a confirmation email yet. Glad to hear you like the information on my website. You should receive a confirmation mail more or less right after you sign up for my newsletter. Make sure to also check your spam folder, as it can end up there, since you have not received emails from me before. If it is not there, and you still have not received it, just let me know, and I will try to see if I can locate a potential error. Thanks, Mikael for sharing this review and make us aware that there are legitimate survey sites. I have tried my luck with those sites and have started answering surveys when I get the notification that it is not for me because I live in a different country. So, I definitely do not recommend anyone trying to make money with paid surveys if not living in a country where there are good offers. I am happy though that Viewfruit is legitimate and that you can earn some extra cash if living in the “correct” country. I also like the fact that it has prices which you can claim, which is a good opportunity. Yes, the country definitely place a big part in the opportunities you get on different survey sites. 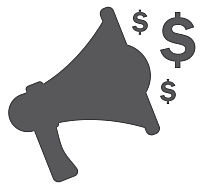 With the right sites, it is however an great way to earn some extra cash by sharing your opinion. Hope you have found some sites that work well in your country. If you want some ideas for good sites, feel free to let me know where you live, and I will be happy to make a few suggestions. Thank you for your review Mikael. I never heard of View Fruit before seeing this post and looks like it can be better option to use my spare time on. I can recommend this to house wives and people who are alwas busy on their mobiles or laptops. I like the fact that there are a social element to it as well. I also went through recommendations for other countries and couldnt find any for South Africa, can you perhaps recommend one for people living in South Africa? Thank you Freddy. Great to hear you know some people Viewfruit will be relevant for. I am actually just working on putting together a list with the best sites in South Africa. It should be up in about a couple of weeks, so make sure to come back and check soon.